BREXIT has sparked “panic” among migrants living in Northern Ireland according to grassroots groups working with families who are fearful for their future. The Detail can reveal a spike in demand for immigration advice here since the UK’s decision to leave the European Union (EU) however there are concerns communities face a shortage of free specialist support. Northern Ireland’s largest free advice provider, Citizens Advice, reported an 80 per cent rise in immigration queries between April 2015 to March 2016 and April 2016 to March 2017. The South Tyrone Empowerment Programme (STEP), a community development organisation based in Dungannon, received 62 immigration queries from residents living within its catchment area between August and December 2015 - when it began keeping electronic records – but 495 queries in 2016 when the Brexit referendum was held. STEP solicitor Julia Walsh said: “What we saw was a lot of hysteria and a lot of panic, understandably, because of the narrative around the referendum, and the hostility, and the hostile way the campaign was run. There are 22 advice providers operating in 43 locations in Northern Ireland registered with the UK’s immigration advice watchdog, the Office of the Immigration Services Commissioner (OISC), but the organisations involved said there is limited access to free expert advice, especially for complex cases. The future of migrant communities will become clear when a final Brexit agreement is brokered. A human rights law expert described the current treatment of migrants, refugees and asylum-seekers as “one of the defining civil and human rights issues of our time”. Professor Colin Harvey of Queen’s University Belfast said: “This is a worrying time for migrants, refugees and asylum-seekers. We have witnessed successive governments implementing ever more repressive measures. These have tended to focus on deterrence and deflection. Brexit has only added to an already troubling picture. Meanwhile The Detail can also reveal that the Office of the Immigration Services Commissioner (OISC) is investigating a Republic of Ireland company offering immigration advice in Northern Ireland despite its apparent failure to register with the OISC. The probe was initiated after The Detail found a flyer in a south-Belfast laundrette calling on migrants to “Beat the Brexit deadline” and advertising immigration advice services. Latest migrant population figures provided by the Department for the Economy estimates there were around 125,000 migrants aged 16 and over who were not born in the UK living in Northern Ireland by the end of March 2018. Of these, 83,000 were born in a country within the European Union, including the Republic of Ireland. Citizens Advice is funded by all 11 councils and the Department for Communities to provide free basic immigration advice services in Northern Ireland. The Department for Communities has asked the not-for-profit Law Centre NI to develop new guidance for advice centres on immigration-related cases. The Executive Office funded a project which resulted in the publication in February of a new set of best practice guidelines for immigration legal advisers in a bid to educate asylum-seekers and refugees of their rights. The Executive Office also recently awarded a grant from its 2018/2019 Minority Ethnic Development Fund to the Law Centre NI to allow it to employ an immigration solicitor. But campaigners said more needs to be done. The Detail spoke with families whose lives have been put on hold while they await confirmation of their immigration status from government. One young woman described the stress of living in limbo. We separately also spoke to experts on the wider issue of accessing immigration advice, without reference to any specific case. The 2016 referendum which saw the UK vote to leave the European Union prompted a spike in demand for immigration advice services. 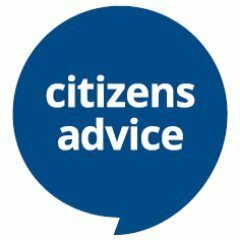 Citizens Advice, which is funded by all 11 councils across Northern Ireland and the Department for Communities to provide free advice services, received 873 enquiries relating to immigration issues in the 2015/2016 financial year which increased to 1,580 queries in 2016/2017. The figures provided for 2017/2018 only go up to December last year by which time the organisation had received 943 immigration enquiries. Citizens Advice Northern Ireland was not able to provide statistics for this year after a funding crisis - as revealed by The Detail in June - resulted in redundancies from its regional office. The highest number of enquiries was in relation to families, dependents and partners with 976 queries recorded. Aggie Luczak, development officer and immigration adviser with the Belfast-based Migrant Centre NI, also called on Stormont to fund more centres so that more people can access advice free of charge as not everyone will be eligible for financial assistance with their legal bills. She said: “There should be more free advice because most of the European and Eastern European citizens that we work with – and most of our clients will be working – are in low paid jobs or on benefits because of illness. Sometimes the rate the solicitors ask them to pay is beyond their financial capability. Using information released by the Department for Communities and the Office of the Immigration Services Commissioner (OISC), The Detail has compiled a list of immigration advice providers in Northern Ireland that are currently accredited with the UK regulator. See below for an interactive map showing where those centres are located and their level of advice. Immigration adviser Aggie Luczak said she expects demand for advice to increase again when the UK Government’s settled status scheme, details of which were published in June, opens later this year. Julia Walsh from the South Tyrone Empowerment Programme warned about the dangers of receiving incorrect immigration advice. She said: “In relation to bad immigration advice, we do have experience of clients giving large sums of money over to both regulated and unregulated advisers who provide a very poor service. Clients are quite often unable to contact their advisers, have no clue whether an application has been submitted and are getting nothing in the way of client care. Mary Kerr is policy officer for the Northern Ireland Strategic Migration Partnership (NISMP) – a cross-party group of representatives from Stormont departments, political parties, public and third sector organisations which highlighted a number of challenges faced by asylum seekers accessing legal advice in a report published in 2016. She said: “Migrants will be looking for advice for a whole range of issues. Some will feature immigration and some won’t. Most will be European national migrants. Once we know what the immigration rules will be there will be a massive demand for accredited advisers. At the moment there is a demand and we don’t have enough advisers and that’s going to increase post-Brexit. Since our film was made the couples, who gave anonymous accounts of the stresses of the government's immigration process, have secured permission to live and work in Northern Ireland. Residents of the Mid Ulster area can contact the South Tyrone Empowerment Programme for immigration advice on 028 87750211 or by emailing [email protected] Visit http://www.stepni.org/migrant-project-contact.asp for more information. Detail Immigration from The Detail on Vimeo.